Wear your gemstones ladies! 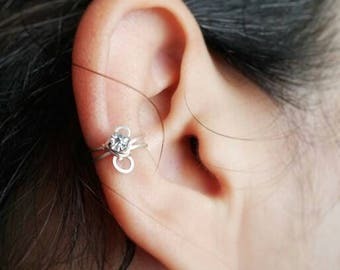 But have fun while at it ;-) With these ear cuffs you get to have your favorite gems and a fun, no commitment look. 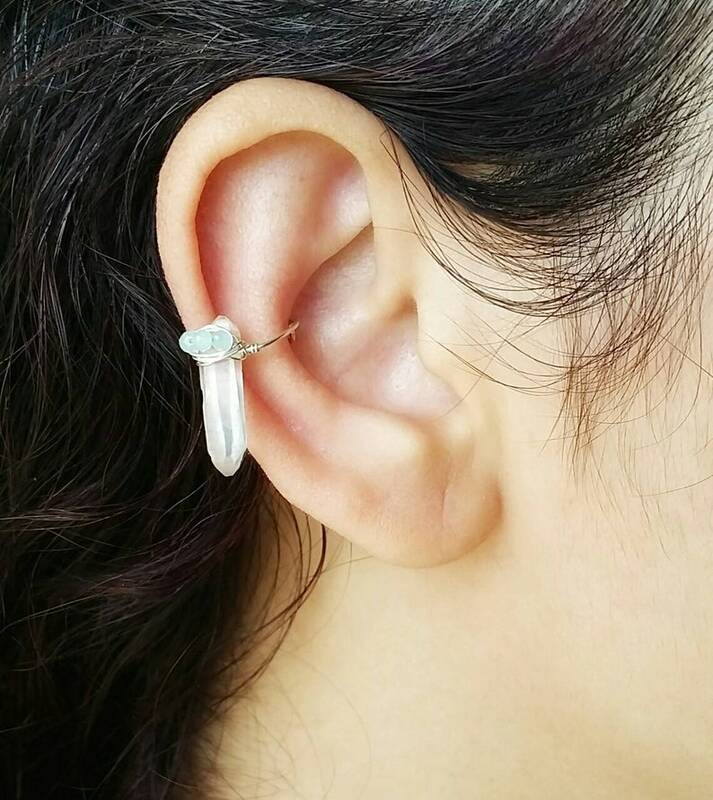 Simply slide the cuff over the cartilage on your ear and Voila! * Handmade with 22ga sterling silver wire. * Quartz point may vary in shape, size, and clarity, all these are natural variances, no two stones are alike. *Made with a Quartz point and sky blue Chalcedony. Customize your look by adding more pieces. 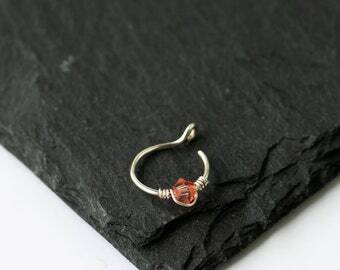 You can choose to buy only the ear cuff or add a tragus ring, a helix ring or get the full set! ( all sterling silver). 1. 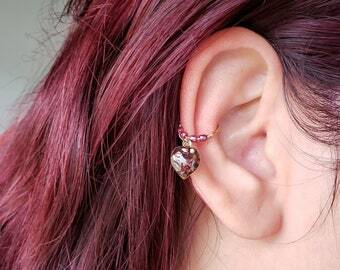 Carefully slide your ear cuff over your cartilage. This cuff is meant to be used on the conch area only (as pictured).